In 2014, Pennsylvania was the fourth state with most Puerto Ricans in the U.S. (423,755), accounting for 8% of all Puerto Ricans in the U.S. The Puerto Rican population in Pennsylvania was 3.3% of the state’s total population. This represents an increase when compared to the years 2000 (1.9%) and 2010 (2.9%). 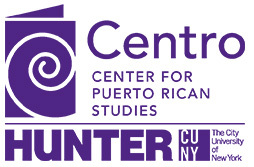 Puerto Ricans represented half of the Latinos in the state in 2014.